You may think your online business success is all about good luck and depends on how fickle the market is, but that is simply not true. Planning for success in your business venture on the internet requires thought, dedication and organisation. 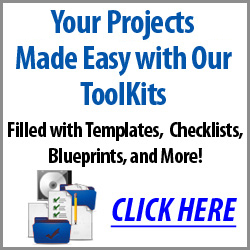 In this review, I am looking at the Marketers Tool Kits provided by Melissa Ingold. Melissa has a range of successful business kits that have been developed over the years to provide structure and organisation to both new and existing online businesses. These include kits for organising and running your venture online. All of Melissa’s marketing kits come with everything you need to get your business running smoothly online, including guides, forms, tracking sheets and checklists. The kits are organised in a way that allows you to work through them easily and use all the included information to get into gear with marketing your business more effectively. With prices ranging from $10.00 to just $27.00, these kits are an essential item for anyone trying to get there online business going in a organised and effective way. Following these kits will help you get more leads for your business, attract more sales and help you keep track of where your business is now, and is heading for the future. So, do yourself a favour, watch this video that gives you a rundown on what is in these kits ($5.00 off voucher for first purchase only on this page) and make the decision today to start marketing and organising your online business more effectively.